What does Paying a Lawyer "on Contingency" Mean? Many people falsely believe that, if they lose the case, they will not have to pay an attorney working on contingency anything. Paying a lawyer on contingency means that the plaintiff agrees that the attorney's fee will be determined by the amount of the settlement awarded to the plaintiff, should the case be decided in his or her favor. 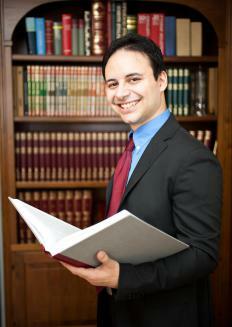 If the plaintiff does not win the case, the attorney will receive no fee. Many people falsely believe that, if they lose the case, they will not have to pay anything. Though they will not have to pay the attorney's fee, they will still be responsible for expenses their attorney incurred in pursuing their case, which could include things like medical reports, investigative services, expert witnesses, court costs, and court reporter fees. If the plaintiff loses the case, he or she won't have to pay for the lawyer's time and labor, if there is a contingency agreement. Win or lose, however, a plaintiff will be responsible for the other expenses, and the cost of bringing the claim to court will come out of his or her pocket. If the plaintiff loses the claim, the fees will be lower since the lawyer isn't paid. If he or she wins but the award is paid over time via a structured settlement, the plaintiff only has to pay the lawyer as he or she gets paid. Someone who cannot afford to pay much upfront may be able to hire a better (and more expensive) attorney on contingency. The attorney will arguably work harder on the case because his or her fee is at stake. Since the lawyer will not be getting paid by the hour, he or she may have more interaction with the client without being worried about "watching the clock." If paying by the hour, the defense could employ delay tactics to exhaust the plaintiff's funds. A lawyer who agrees to payment on contingency is more likely to only take cases that he or she thinks are winnable. The only downside to paying this way is that the client will have to give up a sizeable percentage of any award or settlement. Any unpaid expenses will also come out of his or her share of the award. Considering that it may be a way to secure excellent representation that would normally be out of financial reach, however, it remains an option many people choose when looking to the courts to settle personal injury claims or other cases that involve large awards. As always, individuals should make sure they fully understand any legal agreement or arrangement they enter into with a lawyer before the sign anything. The attorney's policies supersede any information in this article which is only meant to be generally instructive. If possible, it's best for potential clients to get someone with legal knowledge to look over any contracts before signing. What are the Different Types of Contingency Funds? My back has been injured because my boss took away my doctor prescribed therapeutic chair with wheels for a cheap chair without wheels. After sitting in this cheap chair for two hours, my back was in a lot of pain. I told her and she said that's the chair you get. After almost two weeks of sitting in this chair, I could barely walk. I would like to charge her for all the pain and suffering I've been through since December 2012. There are more details. I need to know if some lawyer can help me. I got this lawyer to help me out in a wrongful death case. He told me that I had a good case, a few years into the case he said there was nothing he could do. A I was wondering did he settle with the doctors, because I never received anything. The case was just closed. Is it possible he collected without me knowing? I have a contingency case. My attorney quit after three years. I was told that attorney's fees would not have to be paid. Is this right? What about LOP that were signed? can someone tell me what the rate usually is on contingency? I am about to sign a contingency agreement with an attorney. As I was reading through, I came across a section that basically says, if I discharge the attorney at any time, I will be responsible for a fee of $250 an hour for time put in. That I understand. What I don't get is it also states that if the attorney quits, including because they think the case is no longer viable, I am still responsible for that same $250 and hour. Does that make sense? What if he bails after two years of the case being dragged out? I'll owe him thousands of dollars? Hopefully, I can get some clarification before I sign. Thanks. I am having a parting of ways with my fiance after 11 years. The property is in her name but I can show I have a vested interest in contributing financially as well with work done on premises. (Its a condo with an association). We have also shared bank accounts and have used each other as beneficiaries. We have a lot of personal property brought into the relationship from before, but have also amassed a lot of things since being together for the last 11 years. Am I entitled to anything, or can she just throw me out? does it have a effect on a settlement amount if defense does not know his clients are on contingency? Insurance companies are obligated to pay for attorney fee's and cost so for an contingency attorney to get paid by insurance company and charge his clients the agreed upon percentage of winning short of trial is getting doubled paid, is is not? Or does the attorney fees chop into what defense has agreed to pay the plaintiffs? say defense has agreed to pay 500,000 to settle claims and from that the attorney takes 1/2 of that making the settlement amount for plaintiffs 250,000 to split between them instead of splitting 500,000? Does it work different if plaintiffs were paying clients to what attorney would be entitled to?